Cheer season in Dallas continued March 1-3 when NCA held their All-Star Nationals at the Kay Bailey Hutchison Convention Center Dallas. Held in Dallas since 1988, NCA All-Star is the largest cheer competition in the country. More than 1,300 teams and 23,400 athletes converged on Dallas with 43 states and 10 countries represented! 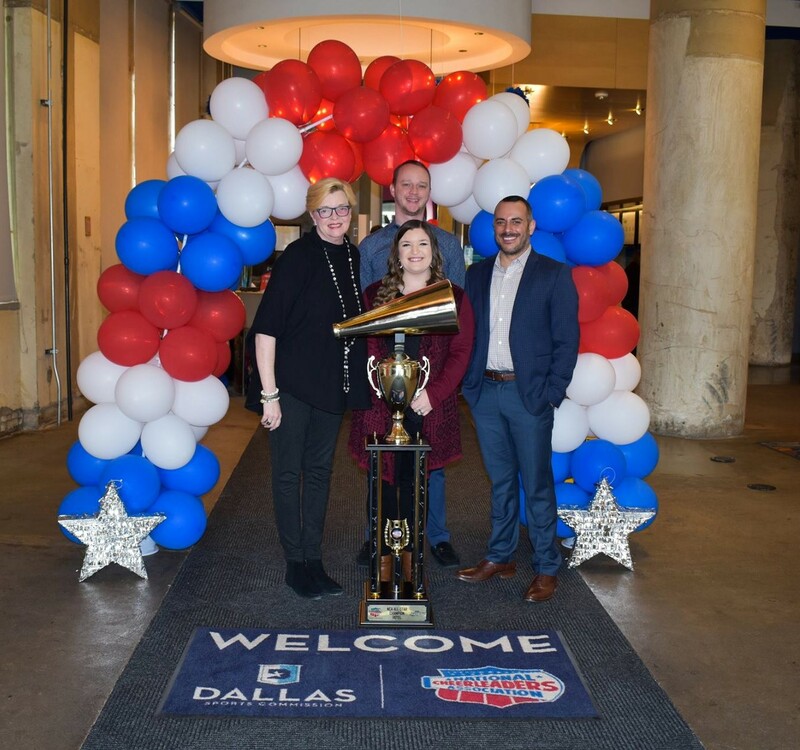 Congratulations go out to the Aloft Dallas Hotel, winners of the 2019 NCA All-Star National Championship Hotel Spirit Competition! Thank you for showing our visitors a little extra Texas hospitality during their stay! Abhijay Kodali won the 61st Annual Golden Chick Dallas Regional Spelling Bee presented by the Dallas Sports Commission at the George W. Bush Presidential Center in Dallas on March 9. Kodali, 12, a 6th grader at McKamy Middle School in Flower Mound, recorded a perfect score of 25 on a written test that was given to the final four contestants. He was the co-winner of the Dallas Regional Spelling Bee in 2018 and finished 3rd at the 2018 Scripps National Spelling Bee. He will again represent the Dallas Region at the 2019 Scripps National Spelling Bee that takes place May 26-31 in National Harbor, Maryland.